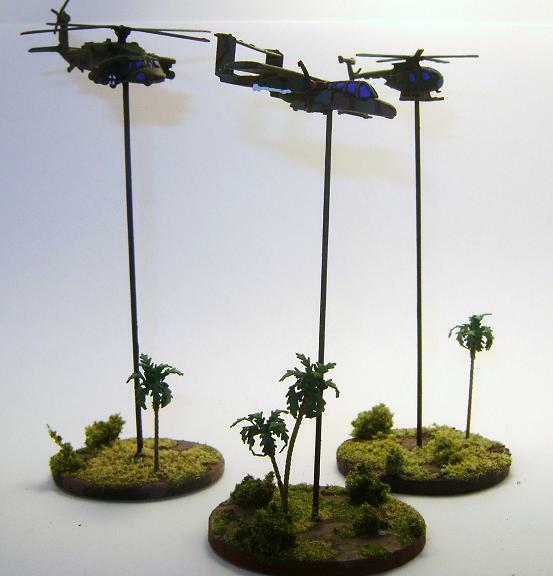 These are from a game project I started a couple of years ago when a friend and I decided to game South American conflicts using Cold War Commander. At the time, the Colombian army had had a series of spectacular successes against the local FARC guerrilla movement. In response, Venezuela, which had been backing the guerrillas, massed along the border. Venezuela has the most powerful army in the region and lots of tanks, but there was no way they were getting through that jungle, and so the incident eventually petered out. Nevertheless, my friend and I thought it would make a good “what-if” scenario. We researched the armies, found out that these were actually pretty good armies (particularly the Colombians), and so we made up some Cold War Commander army lists. We never really got it all off the ground, but I managed to finish the army recently, after a 12-18 month hiatus. The Colombian army is primarily a counter-insurgency force, heavily trained and supplied by the US. The force I built represents a Lancero battalion, with some attached units. The Lanceros are a light airmobile force that have been compared to US Rangers in terms of training and equipment. 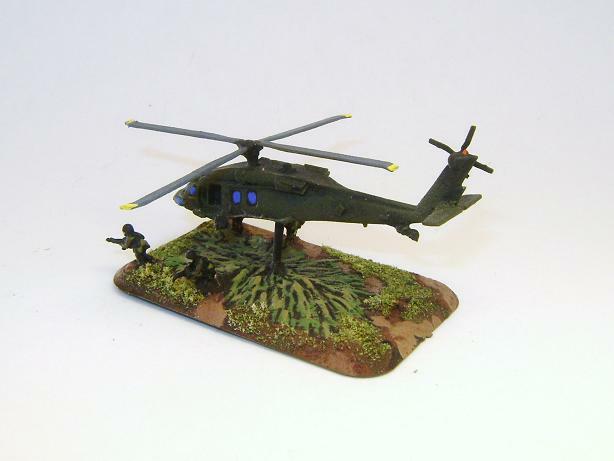 They go into battle riding UH-60 Blackhawks and UH-1 Hueys, and depend on a lot of air support. 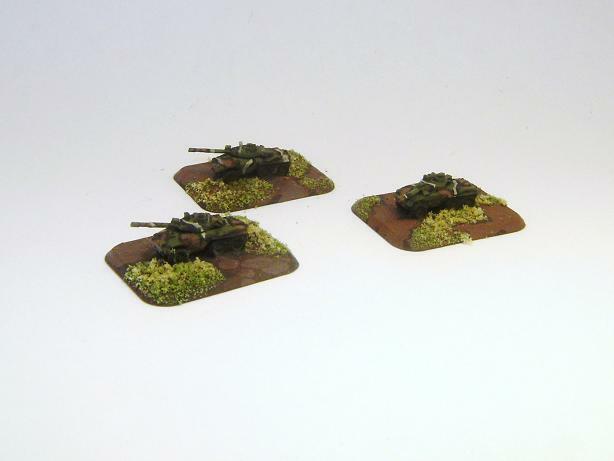 Lancero units carry a number of hand-held anti-armor weapons, but since we were going to be playing them against Venezuela (which has a lot of armor), I figured they need some help, so I added regular infantry in APCs and a unit of armored cars. 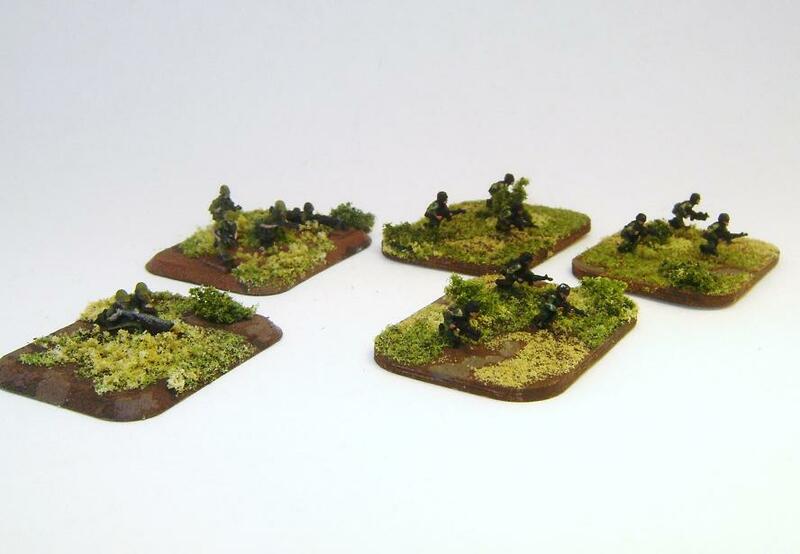 All of the units are 6mm scale. 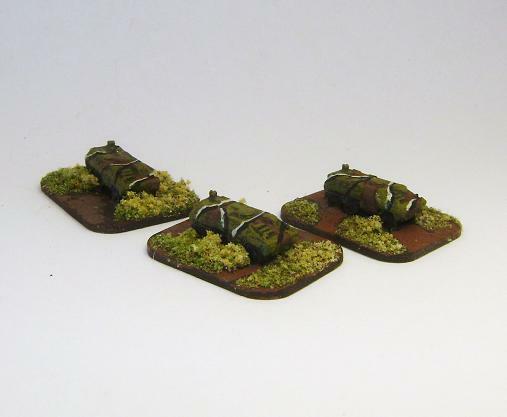 Most of it is made by GHQ, but there are also some vehicles from Scotia Miniatures. The Battalion CO with his staff. 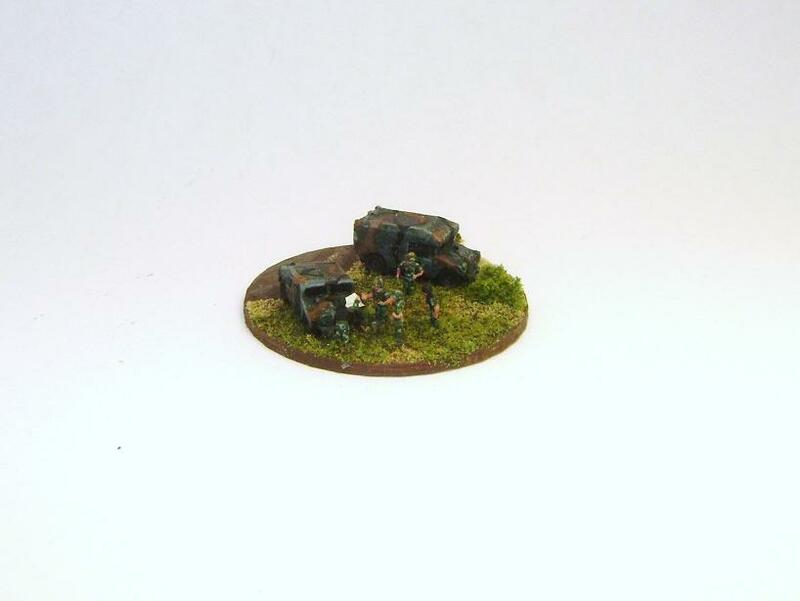 Figures are by GHQ and the two vehicles are Scotia. The two stands on the left are regular infantry in plain uniforms. The three on the right are lanceros with black helmets and vests. All are GHQ. 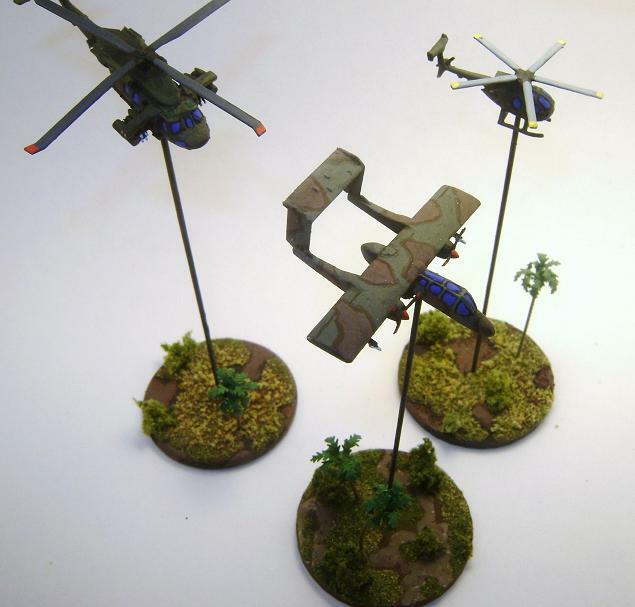 Left to right are a UH-60 Arpia helicopter gunship, an OV-10 Bronco used in a ground attack role, and an OH-6 Cayuse where the Forward Air Controller rides. 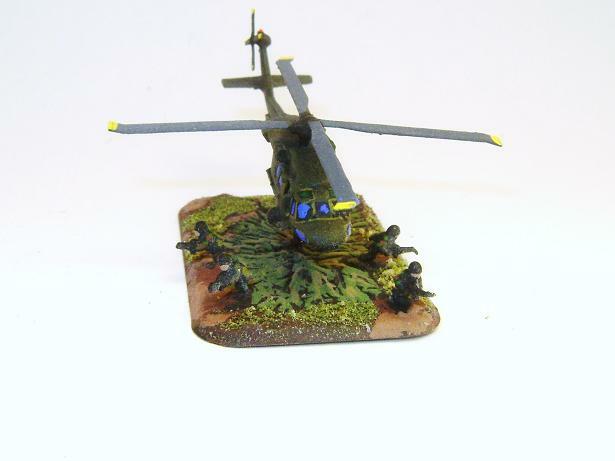 Blackhawk dropping off troops. Figures and aircraft by GHQ.